From the Marvel / Epic Comics miniseries, The LAST AMERICAN, by 2000ad's top writers John Wagner and Alan A. Grant, and with art by the master himself, Mick McMahon. Great page with Capt. Ulysses S. Pilgrim, The Last American and Charlie and the other robots A,B,and C! Page from Issue 4 , March 1991. 28 x 40 cm. Art on heavy card. Pencil, Ink and Pantone markers with some gouache highlights. 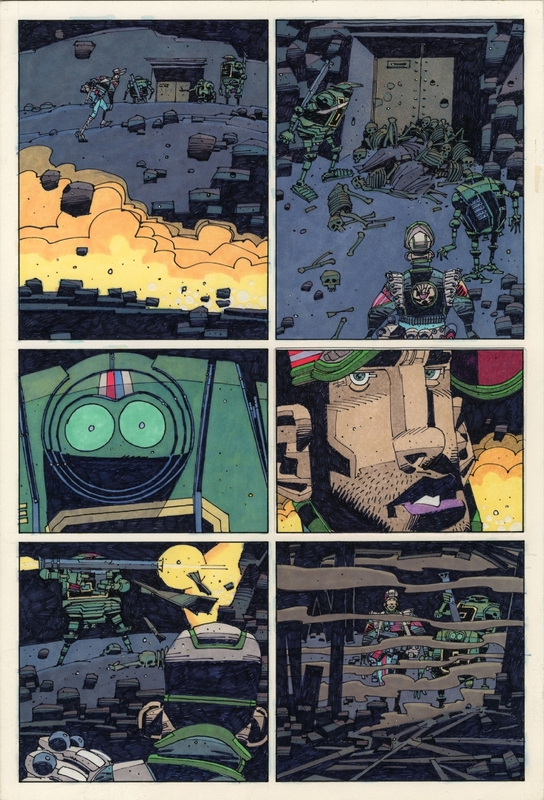 Rare opportunity to own colour art by Mick McMahon at his finest!